With a stay at OYO 2146 Hotel Tilak in Bhopal (Maharana Pratap Nagar), you'll be within a 15-minute drive of Oasis Academy and Birla Mandir Museum. 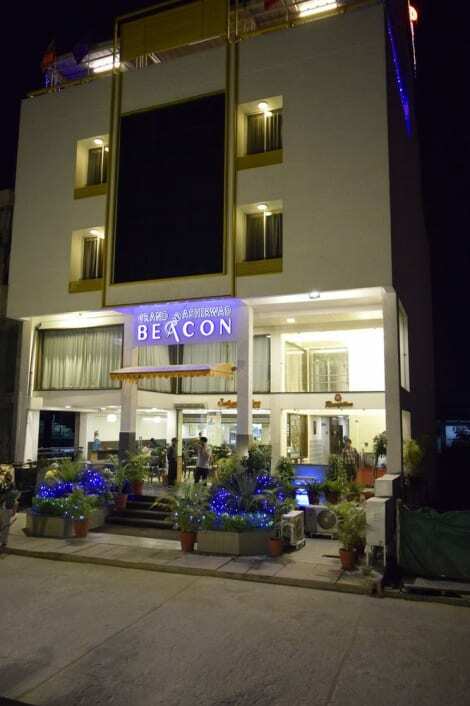 This hotel is 2.6 mi (4.1 km) from New Market and 2.8 mi (4.5 km) from TT Nagar Stadium. Located in Bhopal, Noor Us Sabah Palace is within a 10-minute drive of Sadar Manzil and Imam Square. This 4.5-star hotel is 2.5 mi (4 km) from Darul Uloom Tajul Masajid and 2.8 mi (4.6 km) from Moti Masjid. Make yourself at home in one of the 20 air-conditioned rooms featuring refrigerators and minibars. LCD televisions with digital programming provide entertainment, while complimentary wireless Internet access keeps you connected. Bathrooms have complimentary toiletries and hair dryers. Conveniences include desks and complimentary newspapers, and housekeeping is provided daily. lastminute.com has a fantastic range of hotels in Bhopal, with everything from cheap hotels to luxurious five star accommodation available. We like to live up to our last minute name so remember you can book any one of our excellent Bhopal hotels up until midnight and stay the same night.